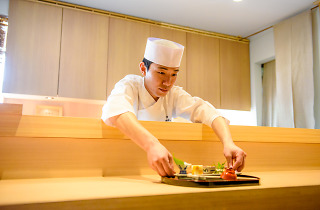 Kaiseki chef Yuki Tanaka has a bit of an extraordinary background: a vocational school graduate, he studied the secrets of Japanese cuisine during a four-year spell at the renowned Kikunoi in Kyoto. Tanaka then went on the road, visiting more than 15 countries while always carrying a bottle of soy sauce and some kelp with him. These travels opened his eyes to the fact that a region's food culture is always born out of locally grown ingredients. Returning to Japan with a desire to 'disseminate Japanese cuisine as a part of this country's culture', Tanaka headed back to his native Mie to form connections with farmers and other producers. Blessed with the ample fruits of both the mountains and the sea, the prefecture has long been known as a treasure trove of foodstuffs. 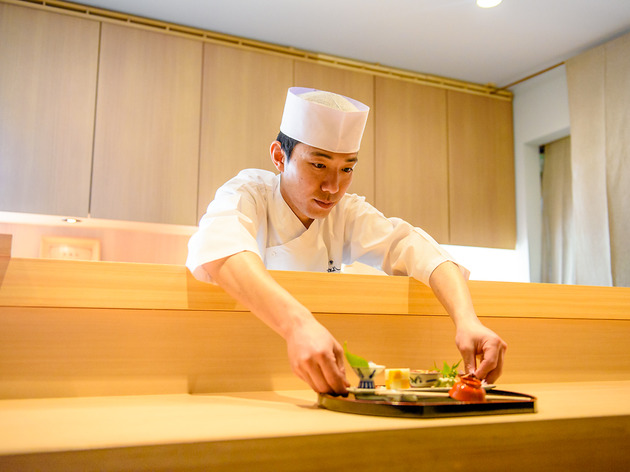 He finally opened his own place in 2015, focusing on ingredients from the ancient city of Ise. 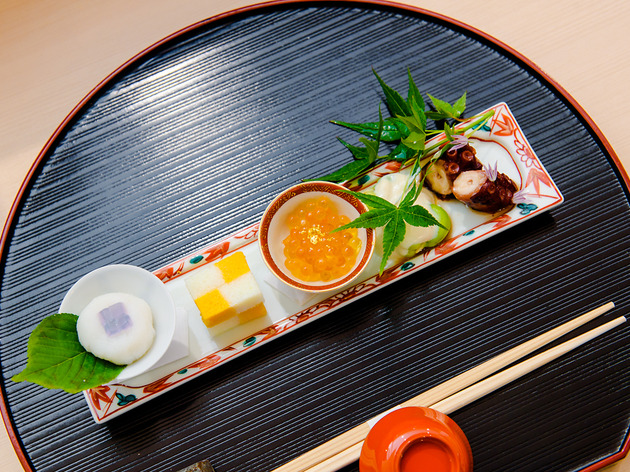 Kappo Ise Sueyoshi in the heart of Tokyo is ideal for enjoying the four seasons of Japan on a plate. Overseas visitors are falling over themselves to get a reservation at the small spot, which has only five seats at the counter and six tables. Tanaka's dishes display a rich experience with and deep understanding of the ingredients, conveying not only the passing seasons but also the scenery and traditional flavours of Japan. 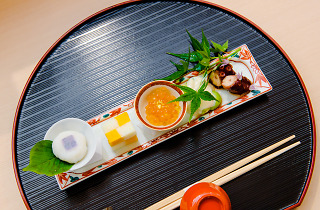 We were particularly fond of the hydrangea-like steamed yam, served as part of the hassun – the dish which sets the seasonal theme. It brought to mind June's iconic flower in both visual and texture terms.